If you’ve been down the toothpaste aisle at any Arcadia grocery store, you have probably noticed dozens of products that claim to whiten your teeth. From toothpaste to strips, it’s an impressive selection. Do any of these teeth whitening products work? Whitening rinses are similar to mouthwashes. They kill bacteria, freshen breath and may help remove plaque. They contain whitening ingredients not found in mouthwashes. Manufacturers advise taking a mouthful of the rinse twice a day, and letting it slosh around on your teeth for one minute. Whitening strips have a couple of drawbacks. Though they contain a bleaching agent, it is much less potent than those used in dental offices. Another problem is that they do not whiten between teeth because the strips only touch the front surface. It can take months, and many strips, before you get any real results. 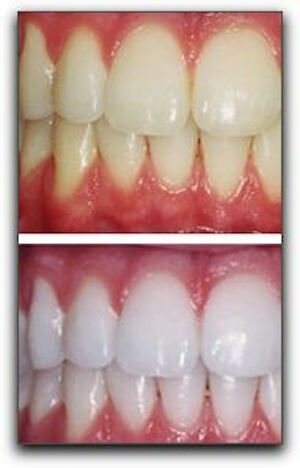 Whitening gels are painted onto teeth with a small brush. One problem with them is that they only stick to dry teeth. If any saliva gets on them during treatment, the gel is likely to slide off. None of these over-the-counter products can match the strength of professional treatments. At Premier Dental Esthetics we use the KoR whitening system. We also provide other cosmetic dentistry services, as well as family dentistry. Arcadia! Eat More Fish To Prevent Gum Disease!